The biopic was to be released in two parts titled N.T.R: Kathanayakudu and N.T.R: Mahanayakudu. 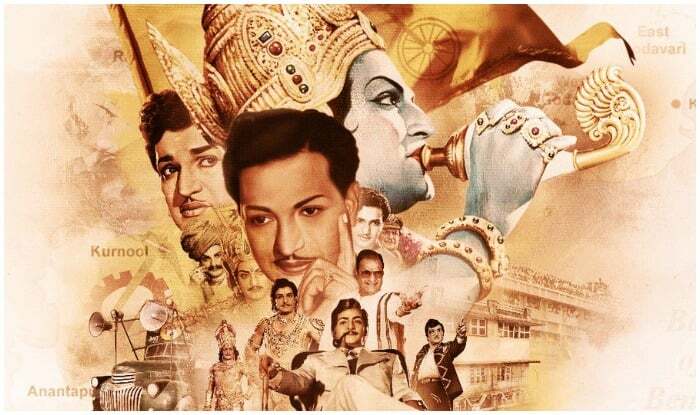 Based on the life of legendary actor and former Chief Minister of Andhra Pradesh, Nandamuri Taraka Rama Rao, popularly known as NTR, the movie, NTR Kathanayakudu, hit the cinemas today. In the Telugu biopic, the role of NTR will be essayed by his son, Nandamuri Balakrishna, who is a mirror image of his actor-director-politician father while Vidya Balan is playing the female lead as NTR’s real-life wife, Basavatarakam, whom the politician married when he was 20 years old. Helmed by Krish Jagarlamudi and produced by Nandamuri Balakrishna, Sai Korrapati Ranganatha, Vishnu Induri under NBK Films, Vaaraahi Chalana Chitram and Vibri Media banners, the music of the biographical drama is composed by MM Keeravani. Rana Daggubati is essaying the role of the current chief minister, Chandrababu Naidu, who is NTR’s son-in-law. Apart from the lead cast, South actress Rakul Preet plays the role of Sridevi in the biopic while Sumanth, another Telugu film industry stalwart, is essaying the role of A Nageswara Rao and Sachin Khedekar is playing former Chief Minister of Andhra Pradesh, Nadendla Bhaskara Rao. The biopic was to be released in two parts titled N.T.R: Kathanayakudu and N.T.R: Mahanayakudu. While the first part about the rise of Nandamuri Taraka Rama Rao as an actor has hit the screens today, the second about his political rise is much awaited.